Many of the races I’ve run benefit local and national charities. It’s wonderful thing that running races becuase it provides people a fun way to stay fit, hang out with friends, and a charity can also benefit. Something I haven’t directly done before is actually ran a race for a charity by fundraising specifically for a charity. I’m excited to finally do that for the upcoming Rock and Roll Chicago Half Marathon on July 20th to benefit St. Jude’s Children’s Research Hospital. St. Jude has always held a special place in my heart. 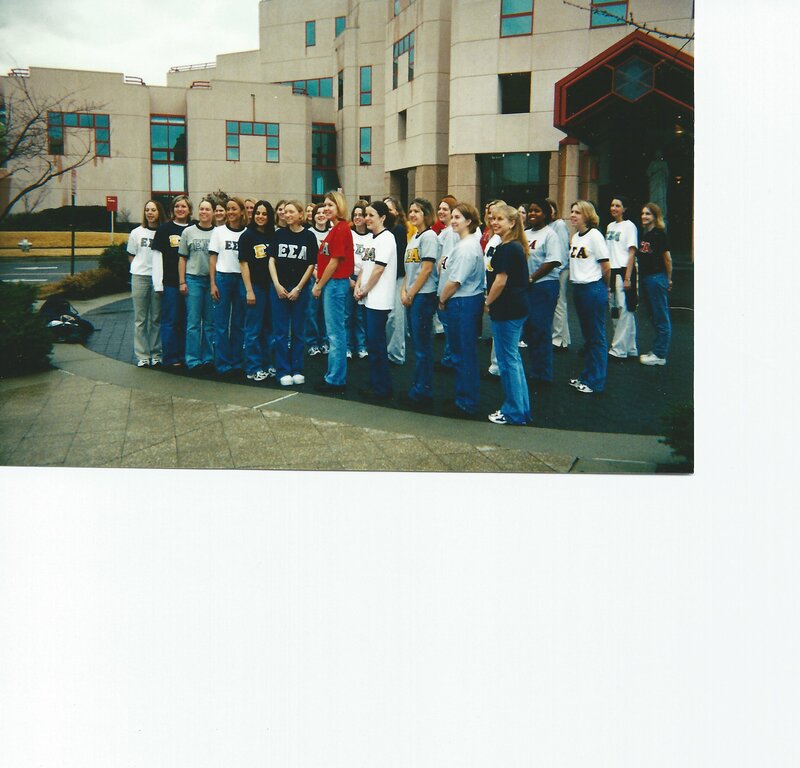 When I attended Illinois State University they were my sorority’s (Epsilon Sigma Alpha) main charity. We completed fundraising throughout the year and had the opportunity to take a check to the headquarters in Memphis, TN and visit the facilities. 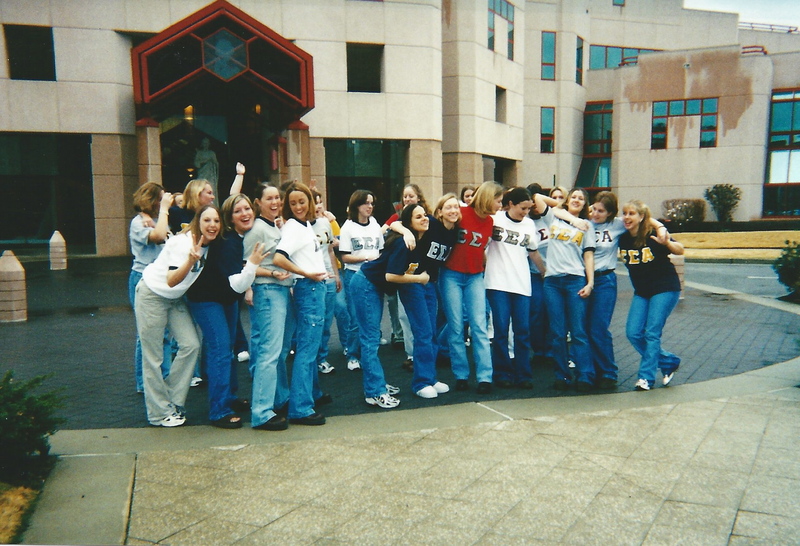 Me and my sorority sisters (circa 1997) at the headquarters in Memphis, TN. While we had time for some fun photos, it was a very serious trip to get to visit with children, families, doctors, and the support teams. It’s one of those significant moments in life to witness such brave children and their families battling cancer and diseases. It was apparent that in those moments the world stops and everything focuses in on the love for your child. Now being a mom, it hits home a million times more, what that would feel like. St. Jude is working to drive the overall survival rate for childhood cancer to 90% by 2020. So I ask for your support either donations and/or prayers for the children going through treatment with St. Jude’s. I appreciate you taking the time to read this post and consider supporting this charity. My training is no where like it used to be, but I still want to share what I’m doing in preparation for this race periodically to share my progress. And I thought I would add a look back at the past times that I have run RNR Chicago Half Marathon. Here are the links to those races. Thanks again for your support!! I’ll post about my training as it goes along! Categories: Charity, Half Marathon, Rock and Roll Chicago Half Marathon, St. Jude's Children Research Hospital, Training | Permalink.